Comité Organizador de los Juegos de la XIX Olimpiada. Guía de Exposiciones: Mayo; Junio; and Julio. México 68: Programa cultural de la XIX Olimpiada. México, D.F. : 1968. 3 vols., square 8vo, 71; 65; 67 pp. 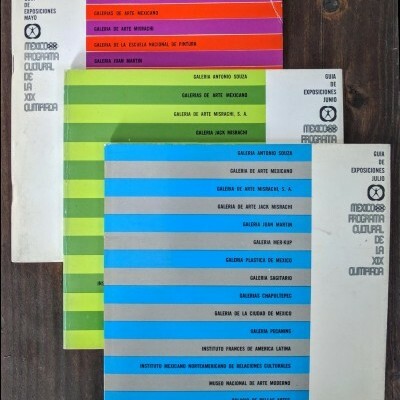 ; profuse b/w illustrations of contemporary Mexican art; in color wraps with design attributed to Lance Wyman and Bob Pellegrini; color wraps sl. toned with edge-wear and a few creases. 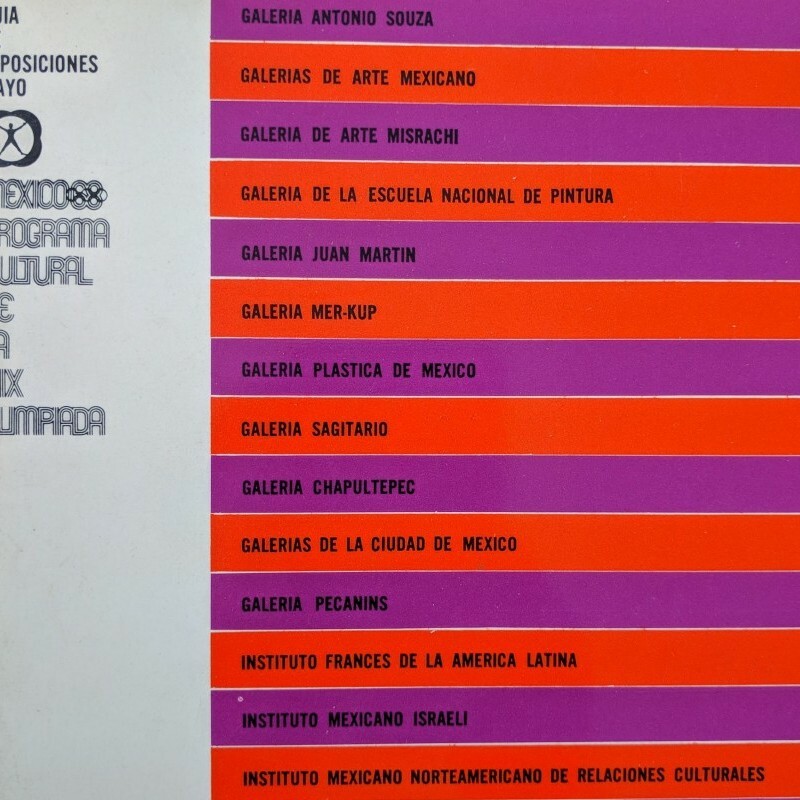 The ‘68 Olympic Committee’s cultural program sponsored a series of art gallery guides for México City. Issued monthly from April-December (with the exception of the October-November double issue), the guides introduced visitors to contemporary Mexican and Latin American art in private and public venues. B/w plates reproduce works by Julio Le Parc, Manuel Alvarez Bravo, and Angela Gurria among others.